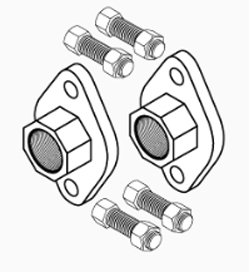 Each kit includes set of two female iron pipe (FIP) pump flanges, 1-1/4". One set is used with each pump. Most installations use Pump Flange Kit, 3/4" (p/n 119).